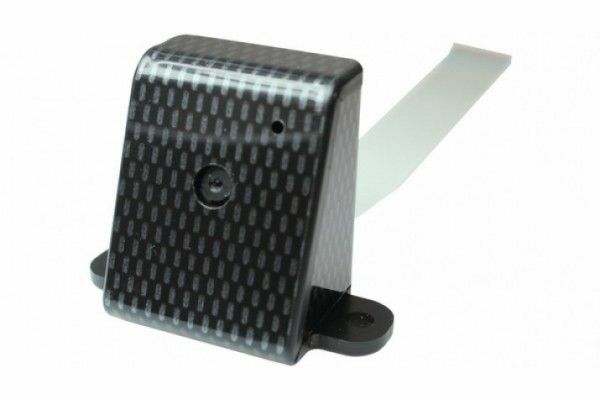 The CBRPC-CAR is a carbon coloured camera enclosure made of high impact polystyrene (HIPS) with acrylic capped ABS carbon fibre finish. This enclosure is designed to house the Raspberry Pi Camera via clip-in grooves (no screw required). This enclosure is ideal for wall mounting.